Going to the University of Toronto has not only allowed me to work on some quality education, but it has also introduced me to some of the greatest eats Toronto has to offer. One of them, has got to be Kinton Ramen on Baldwin Street. 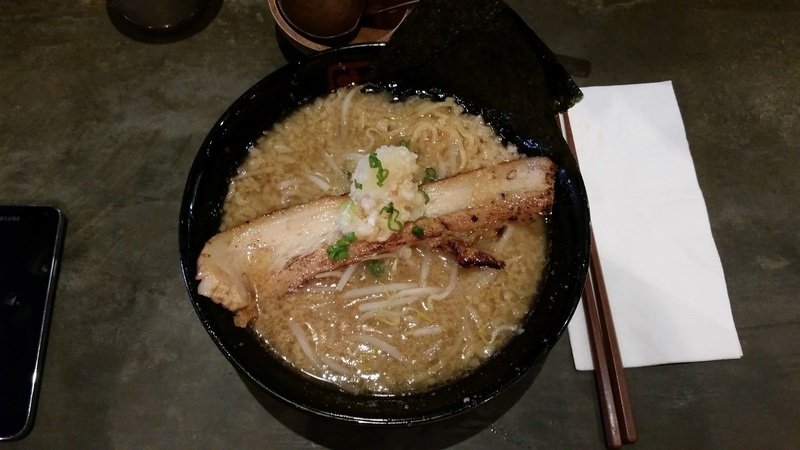 This is a ramen franchise with multiple locations, and never fails to provide some quality ramen! Below, are some of the few visits I made to this restaurant with my brother or with friends, and it was a spectacular time to enjoy company as well as great soup! Spicy Garlic Ramen – a common order for my brother or mom, it is spicy garlic soup broth with thick noodles, pork shoulder, brussel sprouts, green onion and of course, spicy garlic for that extra heat! My Usual – Original Ramen , which consists of pork shoulder nicely cooked with a flame torch, extra garlic, thick noodles, and their original broth which is simply exquisite. 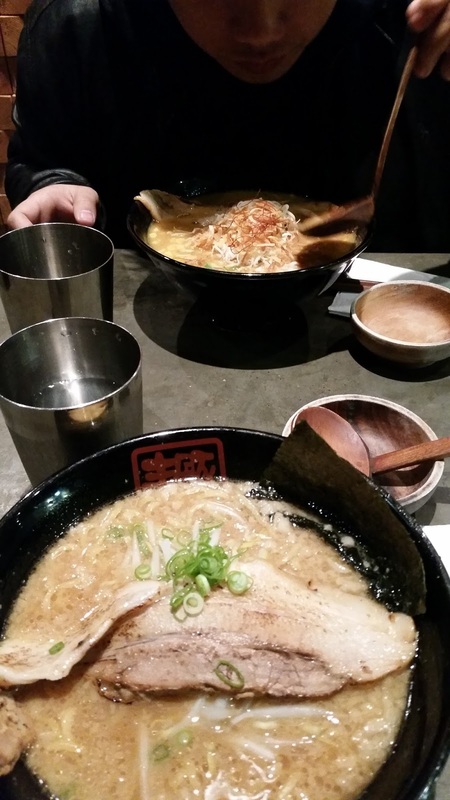 Ramen from Kinton has always been a frequent visit for me, and it is only a few minutes walk away from campus itself. 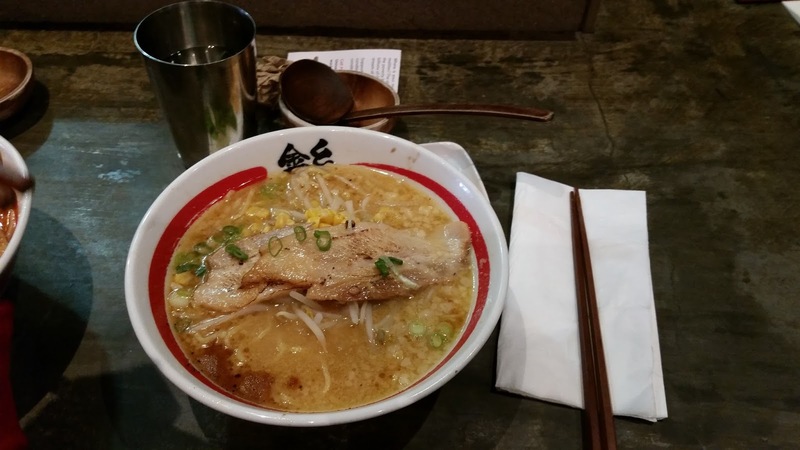 If you are around the downtown core and want to have a taste of Japanese styled soups and noodles, Kinton Ramen is definitely the place for you. 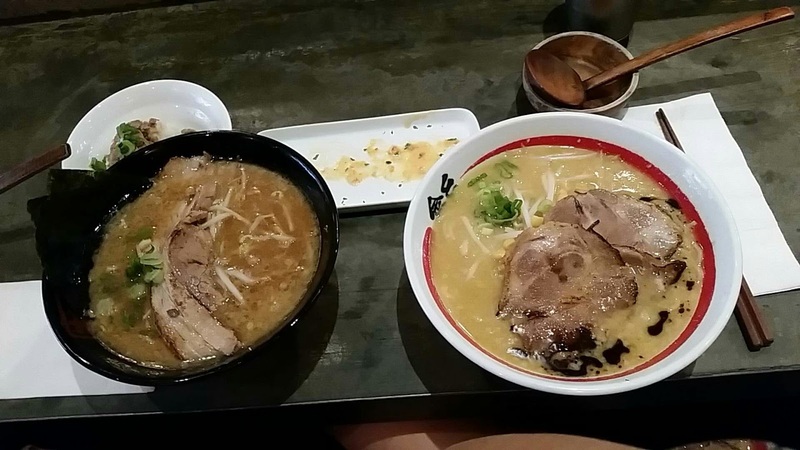 They have great offers on their Ramen as well as combinations with side dishes that add to the taste of the food altogether! The usual picks at Kinton Ramen!